Is Makeup For Men Totally Taboo? Okay. So makeup for men is a big no-no for most people because it’s not ‘manly’ enough. What is welcomed though, is a well groomed, well dressed, good smelling man. I wiped the shock, bewilderment, and hint of respect at his brave request as soon as I felt it, and just handed him the toner… I’m feeling it even as write this. So when you think about it, man or woman, everyone wants to look their best. Looking good gives you a competitive edge no matter what your gender is. The problem is that as a man, there’s the perception that looks should not be something that you’re concerned with. Apparently you’re supposed be looking at the money and not the mirror! It’s difficult to show real effort for your looks because then you are deemed ‘less manly’ or vain… and we all know that perception does matter in everything you do. Whether it is at work, or in your personal life. To avoid having to go the route of applying makeup for men, you should be vigilant with your skincare. Establish a routine where you wash, tone, and moisturize the skin. When choosing your products, check the condition of your skin first. Is it dry, oily, or normal? There are a few men's skincare lines out there. If you can't find skin specific ones, there's always the women's;). No one will know! I know you wash your skin, but with what? Regular soap has a drying effect on skin and can leave you flaky. So use a face wash that is formulated for your skin type. If you shave on a regular basis, you can get yourself an exfoliating face wash. Use it before and after shaving. This will help clear away dead skin cells and little tiny hair leftovers. That way there will be less gunk left to clog your pores and cause ingrown hairs. Also, try not to shave everyday so you can give your skin time to repair itself in-between. So that they don’t get clogged up with products you apply afterwards, or other particles. An alternative to toner is to splash your face with cold water after every wash.
A lot of men don’t moisturize their face, and that leads to different problems depending on your skin type. Oily skin tends to get even more oily because your glands are overcompensating for the lack of moisture (This is an underlying problem for oily skin. Ironic but true). Dry skin gets flaky and itchy if you don't moisturize. Another benefit of moisturizing is that it also makes it easier to shave. This is because when hair is moisturized, it's softer. Then it’s less likely to cause ingrown hairs. These are issues like dry, flaky skin or that white stuff sitting in in your pores.... Use a face mask that will be a deep treatment. This can be done once a week, or the day before a big event/ occasion. 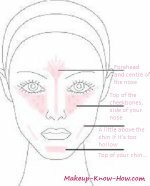 All these skincare steps are a medium term solution to creating a clean,clear face. I you keep it up, you can see a difference to your skin within weeks. Then you might then be able to avoid the men's makeup aisle completely. You want to keep makeup to a minimum, so here are your options. Keep it as simple as you can. We will judge you if you go overboard! Remember that makeup for men doesn't have to come from male specific lines. You can also borrow from the women's aisle to increase your chances at finding the right color. This is a blend of color and moisture. It’s good for evening out your skin tone, and moisturizing at the same time. Use this if the only problem you have is blotchy skin, and light spots. Apply it just as you would moisturizer, and if you want it to be even lighter, use a sponge or beauty belnder. You run it under a little water, squeeze it out, and use it damp. Then place a coin sized amount of product on the back of your hand, dip the sponge in, then apply it on your face. This cream covers a little more than tinted moisturizer. The other added bonus is that you can buy one that addresses your skin type. For example, if you have oily skin, buy one for oily skin that will also keep your face from getting greasy. This is the best makeup for men who really need to cover up a patchy skin tone, or too much redness. A concealer stick is for covering red or dark marks that can’t be covered with the two above. Use concealer when you really have to. You can use your fingers, but it’s best applied with a concealer brush. You place a little concealer on the brush, and dab it onto problem spots. Then you brush out the edges so that they blend in with the rest of the skin. It could be the most complicated makeup for men to use when covering under eye circles, so here's a guide for it's trickiest job. This will keep your lips moisturized on dry days. Exfoliate with a toothbrush or facecloth, then apply lip balm for soft, yummy lips... It actually doesn't count as makeup but I thought I'd just throw it in there. It wouldn't make sense for you to have this great skin, only to ruin it with chapped or grainy feeling lips! The most important thing when applying makeup is to blend it with your skin. This means dabbing and applying it in light motions that leave you streak free. With time, you'll find that it's easier than you think to get better skin in seconds!